Sometimes it’s weird how these things come together. 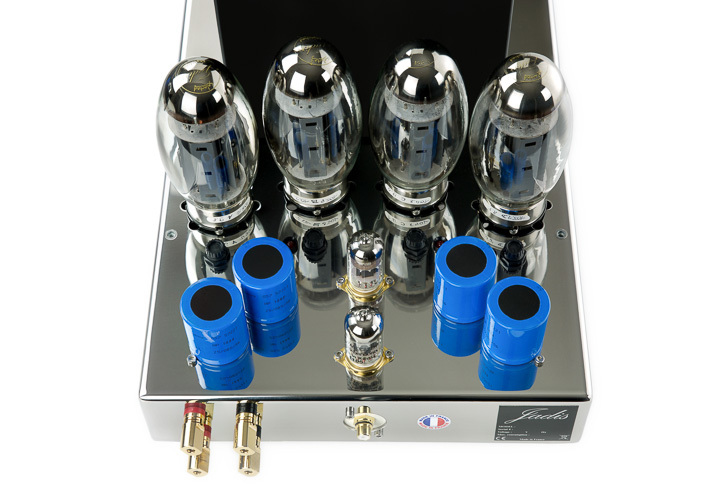 In quick succession, we have tested two amplifiers from different sides of France, both with a very shiny finish, both with a very distinctive way of doing things, and both with a very loyal following among the music loving fraternity. In all other respects, they could not be more different, and they reflect the huge dichotomy that exists within the audio world today. Based in Villedubert, just outside of Carcassonne and some 50 miles as the crow flies from the border of France and Spain, Jadis made its first amplifier back in 1983. That was the JA-80 mono power amplifier. Such is the design methodology of the company that although there had been several revisions to the original circuit, the JA-80 stayed effectively unchanged for more than three decades, only now morphing into the JA-80 Mk II. Most companies would have churned through maybe seven different versions of the amplifier design in the intervening years, but Jadis is not like that. The reason for the change from JA-80 to JA-80 Mk II came about because of change in the output valve world. Back in 1983, KT88 or the similar 6550 were all the rage, widely available, and standards were high. In today’s market, these valves are more likely to be used past failure, new but of very poor quality, or ruinously expensive New Old Stock. Meanwhile, other, more modern designs became available that addressed the problems in build quality inherent to the KT88 and offered improved performance, to boot. Unfortunately, they are incompatible with the original JA-80 design, and thus the JA-80 Mk II was born. This, however, also gives the Jadis JA-80 Mk II greater flexibility of output valve options. Where the original JA-80 used two pairs of KT88s per side to deliver a conservative 60W per channel in pure Class A operation, and could be reworked to include a wide range of output valves, the new JA-80 Mk II takes advantage of the new Tung-Sol KT150 output tube. The distinctive, gherkin-shaped ‘kinkless tetrode’ KT150 is one of the most talked about recent designs: one of the few genuinely new, designed for the audiophile, valves on the market today, designed for high power and low harmonic distortion. These power tubes have proved exceptionally popular in high-end audiophile circles, being almost universally adopted by companies like Audio Research. The use of two pairs of KT150 power valves per side give the new JA-80 Mk II mono amp a potential power output of 90W. It’s also possible to rig the JA-80 Mk II to run different valves, if you find it impossible to source KT150s, or for some bizarre reason didn’t like the KT150. You could swap them out for KT88, KT90, KT120, 6550, EL34, or 6CA7 valves – but only in push-pull, ultra-linear operation. However, to engage in this kind of valve substitution does require sending the Jadis amplifiers in for subtle changes in the internal wiring of the valve seats. However, this is possible because it is internal wiring, and not a simple circuit board. Companies more set on profit margins and production engineering targets might have taken this redesign opportunity to move from the tried, trusted, and time consuming point-to-point wiring. Jadis instead stayed true to the path because it sounds better.